One of our more “yard friendly” neighbors is always putting some sort of ornament in her front yard. 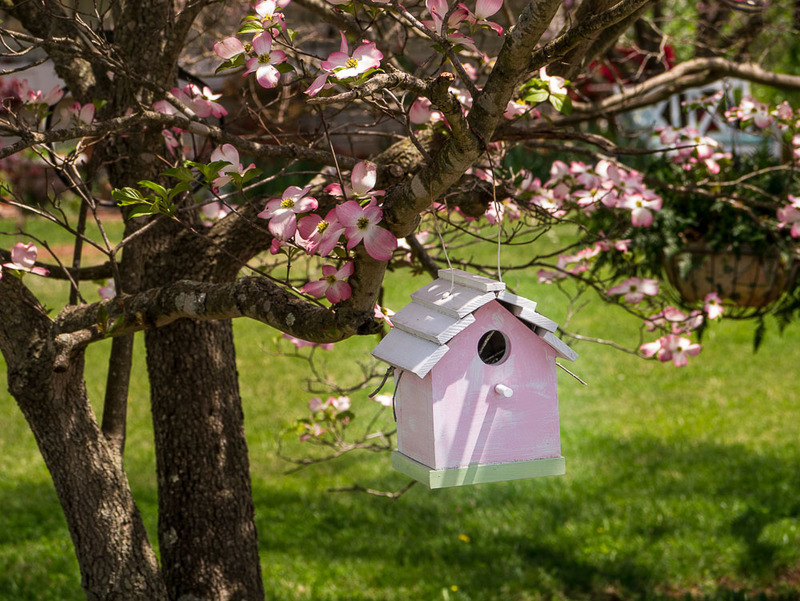 A couple of days ago while on my “health walk” I spotted this pink bird house, hung nicely off a limb on a pink flowered dogwood tree. I did not have my camera with me that day, but today on my walk I did. So…you get to see what I saw…a pink and thus far vacant bird house. Made for a nice photo.